The OC Society is run by an executive committee (Excom) elected at the AGM. Aside from the officers the committee is completed by an unspecified number of elected members. 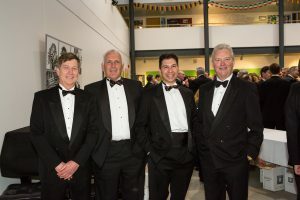 The committee meets four times a year and oversees all matters Old Cranleighan, including finances and events. The OC Society also employs a full-time manager, Vickie Ingle, who works out of Cranleigh School.